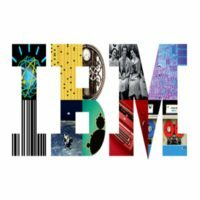 You will play a lead role in defining the service scope for IBM Managed Network Delivery and delivering remote management services for Cisco/Checkpoint Network Devices, Firewalls, VPN’s &amp; VOIP Devices. You will act as the focal point for handling technical escalations and will assist the Technical/Delivery Manager in maintaining SLA adherence and meet CSAT goals,Expert level skills in implementation and administration of Local &amp; Wide Area Networks (VLANs, VPNs) and Network Products -Routers, Switches, Firewalls, Load Balancers, Voice Gateways, Unified Communication Devices; strong knowledge of static/dynamic routing protocols, transports (Internet/MPLS/VPLS) is expected. Routers, switches, load balancers, and other networking and security components from a variety of vendors. o Virtual networking components such as VSG, Nexus 1000V, and dVS o Networking protocols such as BGP &amp; OSPF o VLANs, VPN, Unicast vs Multicast, Management Networks, IP subnetting, and network design.